A bathroom is a place where you can clean your body and get relax. You can lay down in the tub while lighting some aromatic candles. 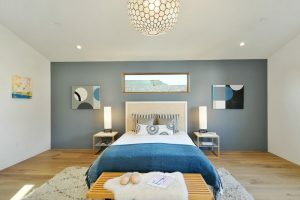 The color selection for bathroom tiles and features also takes a big part in making a nice bathroom. 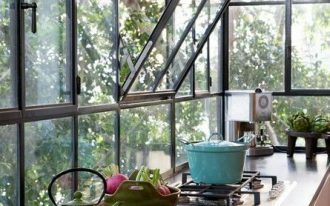 You can choose the color based on the style of your bathroom you are going to make. 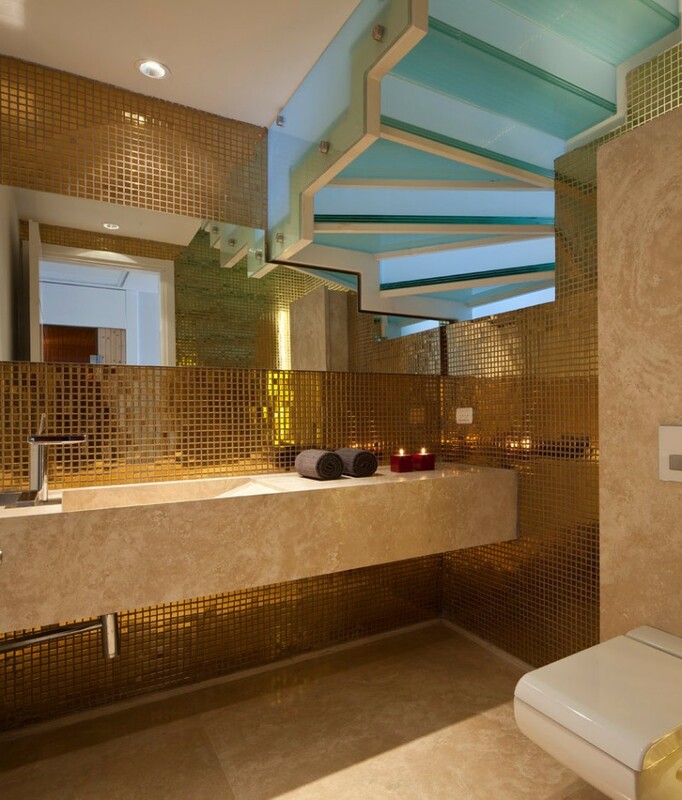 If you want to make an elegant bathroom, you can choose gold as the color accents. 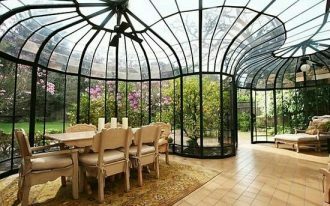 You can pick nice gold bathroom tiles, gold granite floor or countertop, or other gold bathroom features. 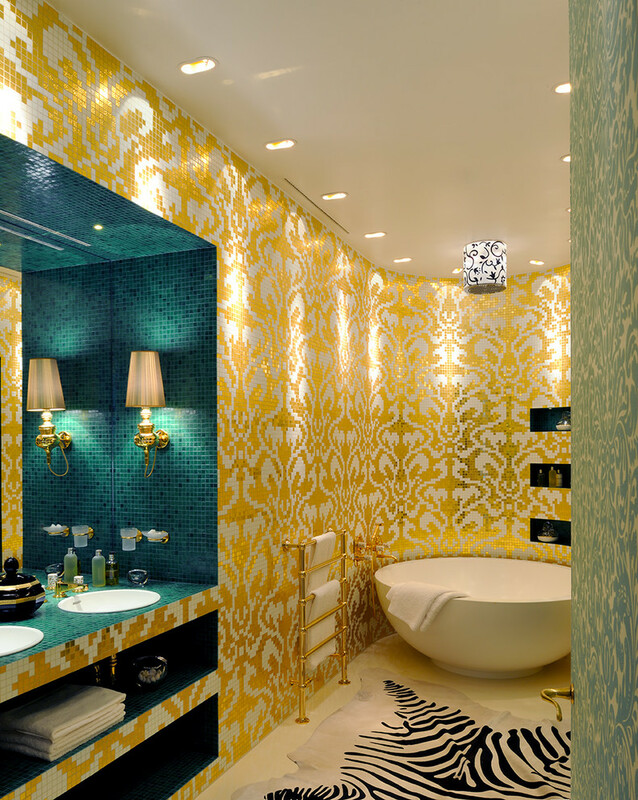 Here are ten elegant gold bathroom ideas that will inspire you to make a great bathroom. 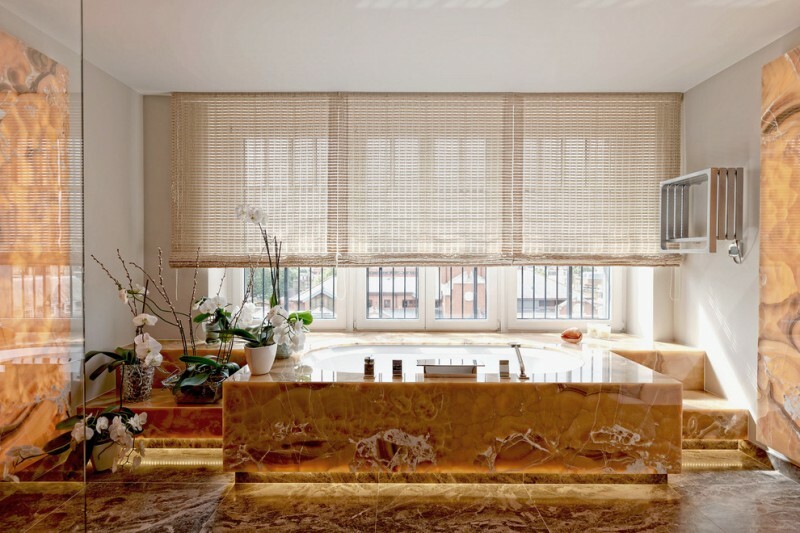 This contemporary bathroom uses gold mosaic tile for the wall and beige marble for the floor and the integrated sink. A wide mirror and frosted glass stairs are also shown in this bathroom. 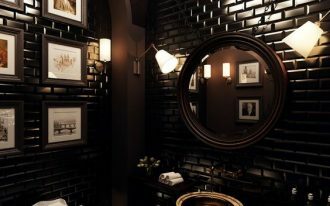 The different shapes of the tiles make this bathroom unique and artistic. The rocks under the glass countertop and the bowl sink add a lot of character in this gold bathroom. This bathroom looks spacious and glamorous with an undermount tub in the center near the windows. 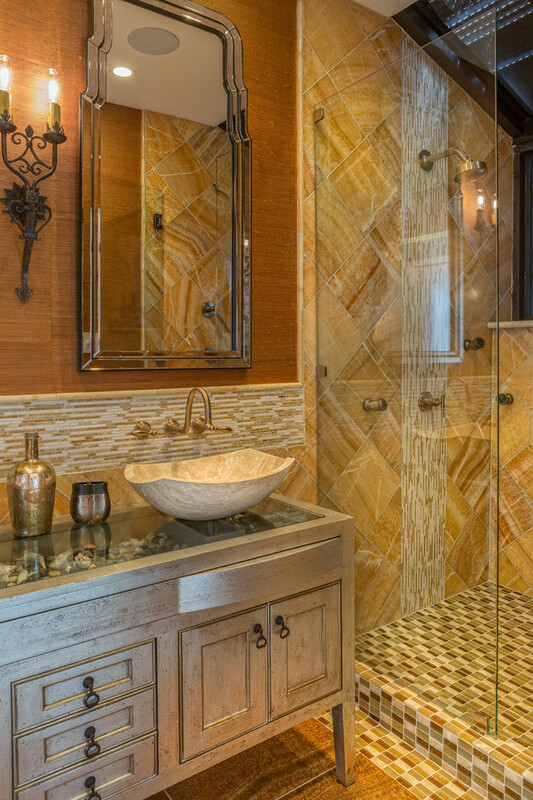 The gold patterned marble with recessed lighting under the tub makes this bathroom feel luxurious. You will love the idea of glowing seat and countertop in your bathroom. 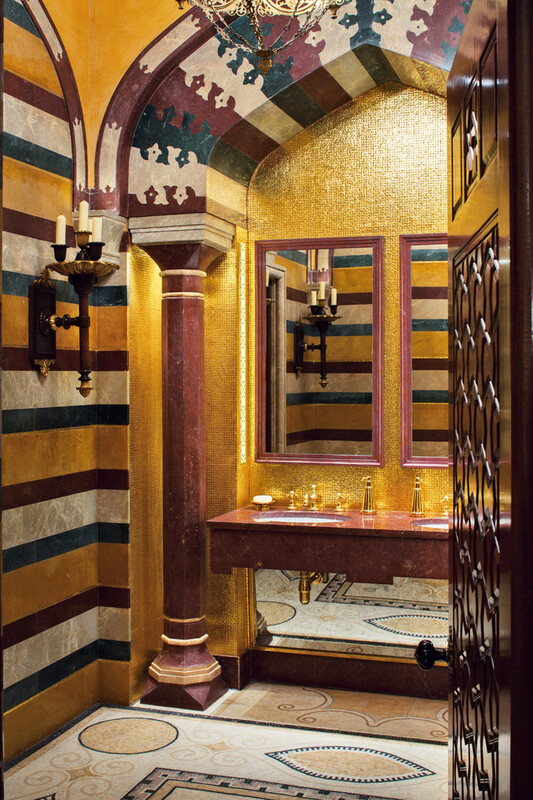 The lighting enhances the gold patterned marble walls. 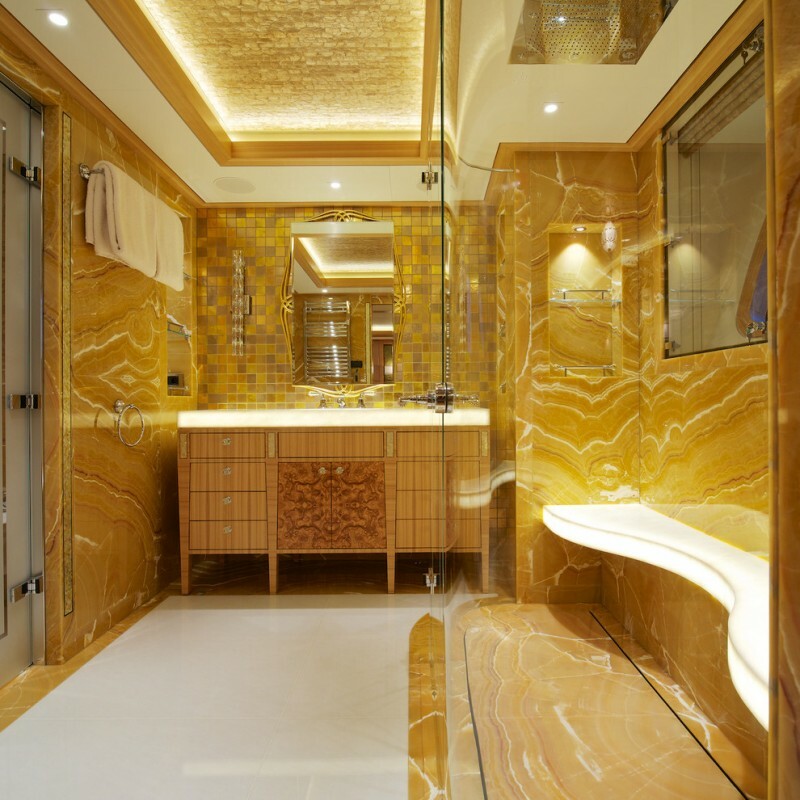 This gold bathroom also has big rainfall shower in the ceiling, mirror, and a wood cabinet. 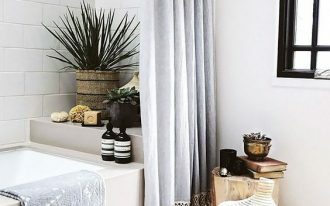 You can put a freestanding bathtub in the corner of your bathroom. The tiled vanity and wall add colors in this bathroom. This built-in vanity also has built-in save to keep some towels. This bathroom is full of gold tiles. 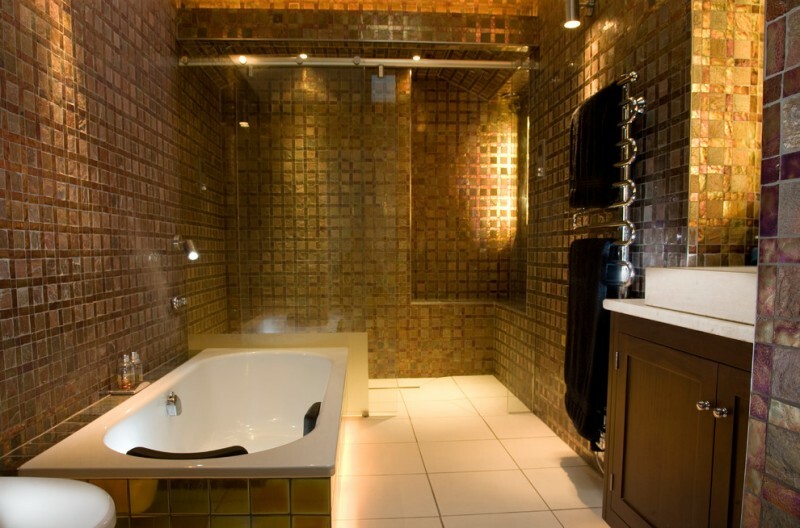 The wall and the tub are covered with gold tiles. There is a high glass wall between the shower area and the tub. This bathroom also has a bespoke walnut vanity unit and wall-mounted towel rack. 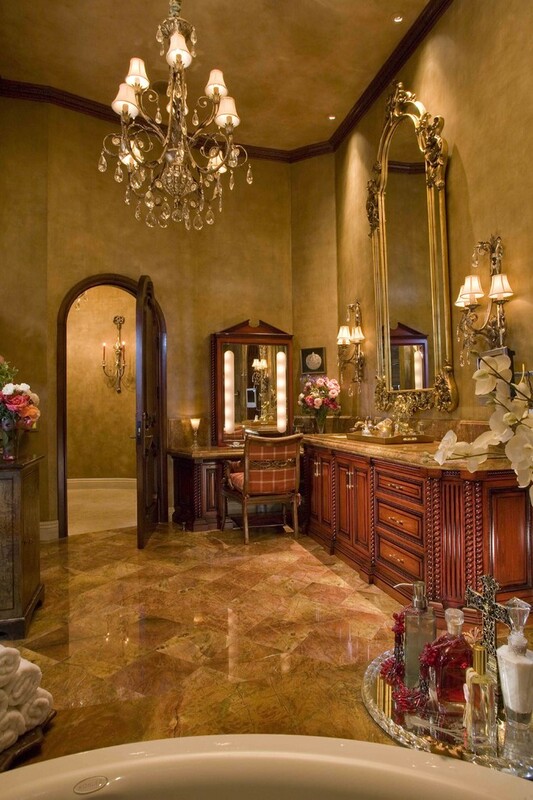 Gold granite floor is suitable for a Mediterranean bathroom. A big mirror, the raised-panel cabinets, and medium tone wood cabinets near the arched door complete the bathroom furniture. This is an inspiration of a Mediterranean bathroom with an undermount sink and multicolor walls. 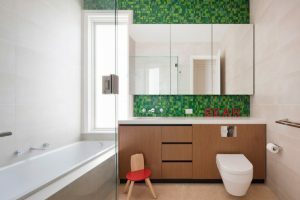 The use of mirrors upper and under the double sink are able to expand this bathroom area. 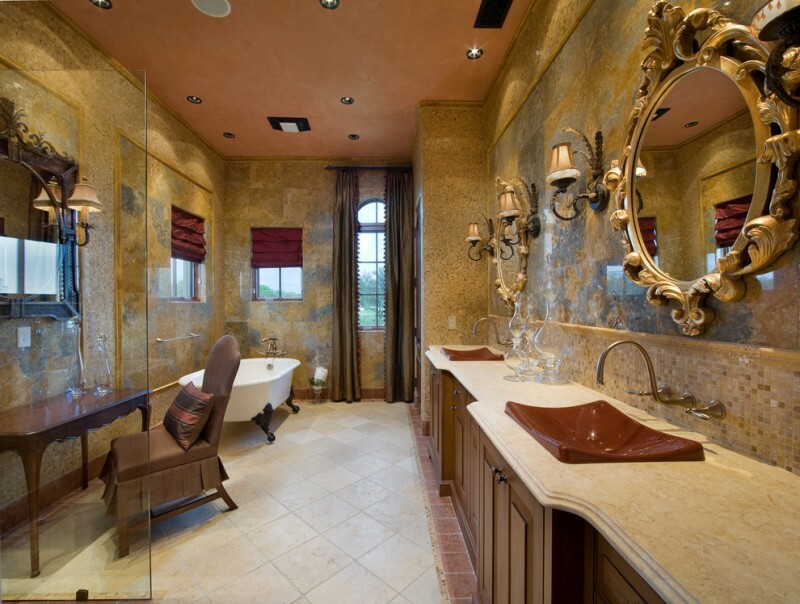 This bathroom shows old-world Tuscan style design while keeping modern conveniences and new technologies. To reduce narrowness in your bathroom, you can use diagonal tiles for the floor. This bathroom also features a freestanding tub, a chair, a big mirror, drop-in sinks, dark wood cabinets, granite countertops, and antique mirrors. 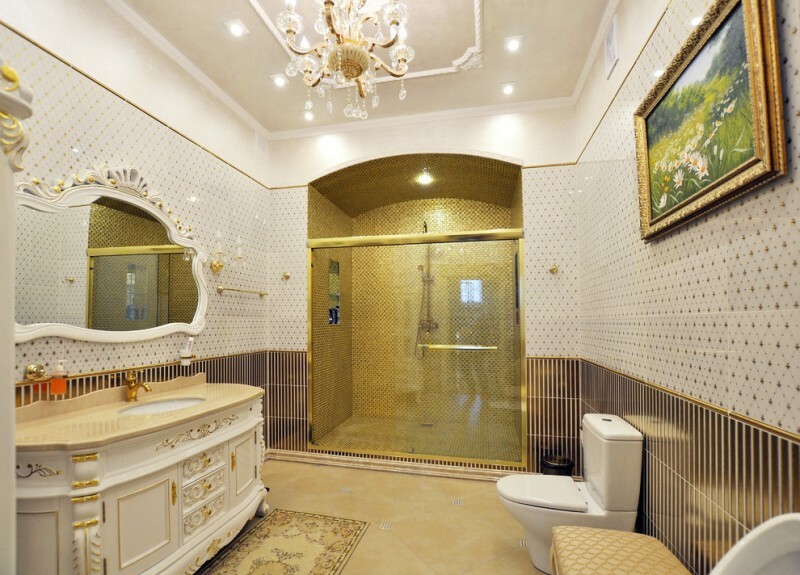 This bathroom has a gold shower area and glass doors with gold frame. 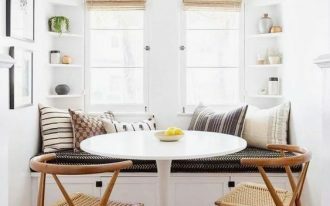 It also features an antique white mirror, white cabinet, and an undermount sink.